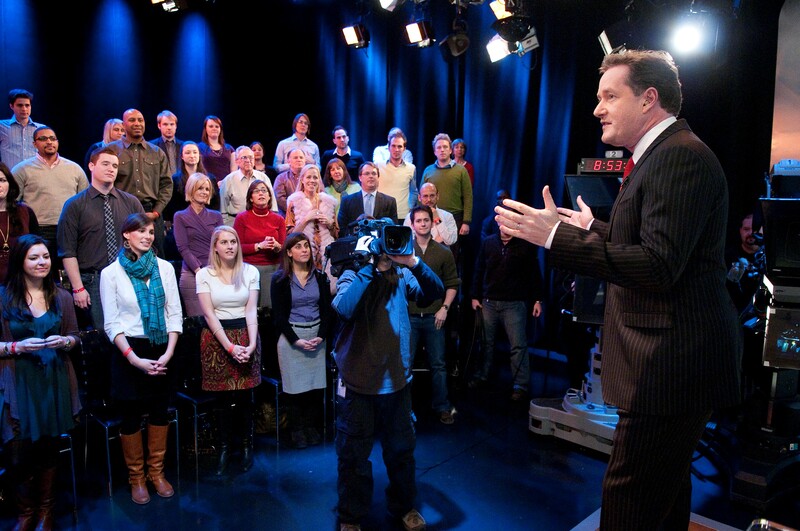 An opportunity to see "Piers Morgan Live" in studio! Have you always wanted to see "Piers Morgan Live," live? Here's your chance to pull up a chair for a first-hand, in-studio visit with CNN's infamous British television presenter. On Thursday, August 8, come join Piers Morgan and his expert guests Rocco Dispirito, Subway's Jared Fogle, Tracy Anderson and many more for a live program dedicated to exploring America's weight obsession. Fans of "Piers Morgan Live" who are in the New York City area this Thursday are invited to join us for a lively discussion on diets, exercise, weight loss, and healthy living and eating. For free tickets to appear in next week's "Piers Morgan Live" audience, please fill out this form. The deadline to respond is Wednesday, August 7 at 11 a.m. ET, and all attendees must be 18 years or older to join. Pierce I love what you are doing. How about showing what injustice. Pierce I love what you are doing. How about showing injustice against a young boy. Pierce, Please give the 64 year old bus driver who was faced with an extreme dilemma in the case of the 3 15 year old boys beating up the 13 year old. There are radios on all the buses here in OH so that bus drivers can contact the base office when they are confronted with a serious problem otherwise the bus driver is suppose to be able to keep the students civil on their buses. We read so much about texting and phone calls that distract drivers, when is anyone going to realize that having 30 or more children on a bus ride of over 1 hour is also a distraction. With the way our children are being raised now they have no respect for persons, equipment or buildings. What makes the general public think that a bus driver who has the safety of all those children on the bus going to be able to stop a fight especially when those boys have no respect for anything. They surely didn't fear that ultimately they would be in trouble for what they did. They would have no grief and hitting and possibly disabling this driver if he were to try and break it up. He did just what he was able to do and that was call for assistance. I have often thought that buses need assistants to keep this kind of action and many other types of misdeeds and bullying from happening on a moving vehicle. Of course if we leave it up to the gun enthusiasts, should the bus drive be equipped with a gun to break up such events? Maybe a retired security guard should be hired but wait he would be in his sixties too and what would he be able to do that the bus driver didn't do. At some point we are going to have to realize that we need to teach respect and manners to our children and we are going to have to put to rest all of the corruption that adults role model to children.